Need an easy-peasy cookie recipe fit for a Winter Wonderland? 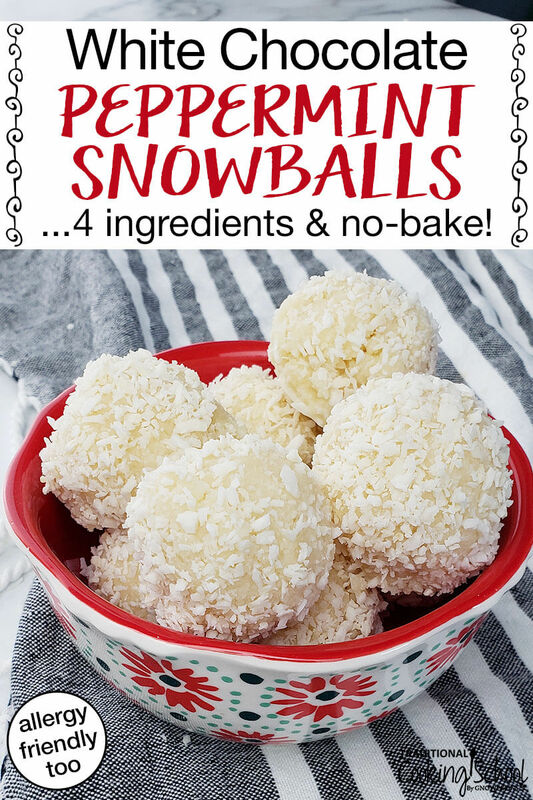 Well, you won't find anything simpler than these Allergy-Friendly White Chocolate Peppermint Snowballs! With just 4 ingredients and no baking required, you can whip up batch after batch for parties, snow days, kids, and grandkids with very little time and effort. 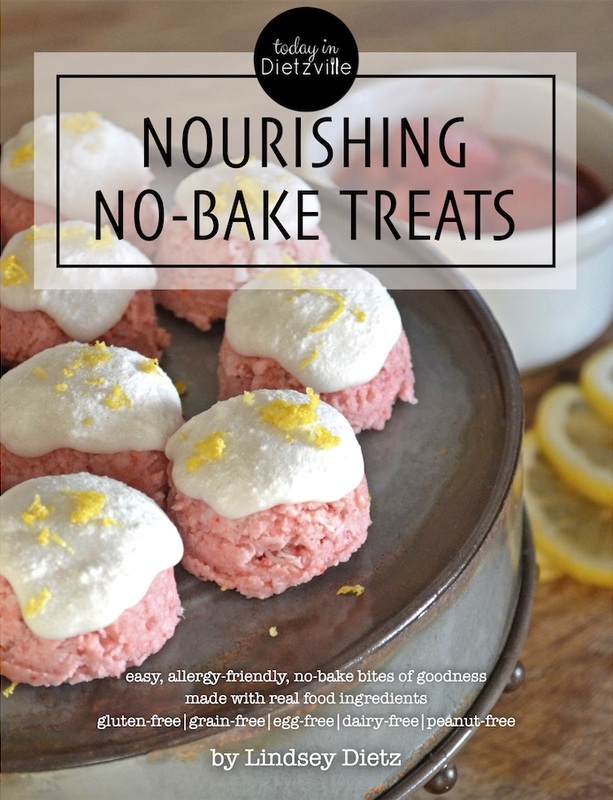 Because they're super-duper allergy-friendly (no nuts, peanuts, dairy, eggs, soy, grains, or gluten!!! ), they're one way to guarantee that no one feels left out. And with less than 1 teaspoon of honey per snowball, these are a low-sugar indulgence as well! Finally, peppermint essential oil provides a burst of cool flavor. Peppermint + white chocolate = a heavenly holiday match! With just 4 ingredients and no baking required, you can whip up batch after batch of these cookies for parties, snow days, kids, and grandkids with very little time and effort. Place all ingredients in a high-speed blender or food processor. Process on medium speed until the ingredients come together to form a dough that folds in on itself. Use a 1-tablespoon cookie dough scoop to scoop up balls of dough and place them on the lined baking sheet. Next, roll each dough ball in a bit of extra coconut, or sprinkle the top of each ball with a bit of coconut. This gives a fluffy, flake-y, snowball appearance. Place the baking sheet in the freezer for 10 to 15 minutes. 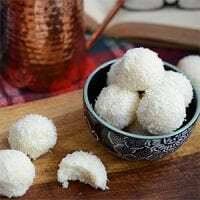 Store these snowballs in the freezer. Prefer not to use peppermint essential oil? Substitute peppermint extract instead, starting with 1/2 teaspoon and adding more if stronger peppermint flavor is desired. You probably have most of the ingredients in your pantry already! 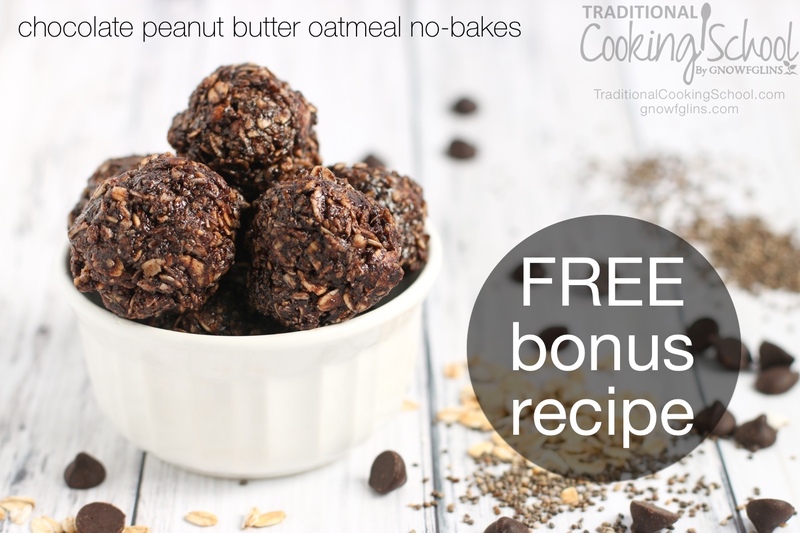 Do you have an easy, go-to holiday treat recipe? Will you try these snowballs? It’s a stable fat, so as long as it’s kept in a cool, dark location, it should last years!